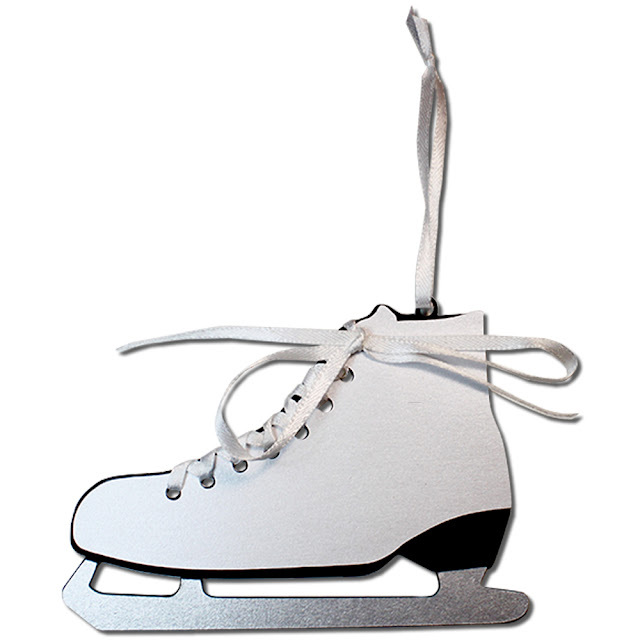 This tutorial contains both the single and double ice skate gift tag images. 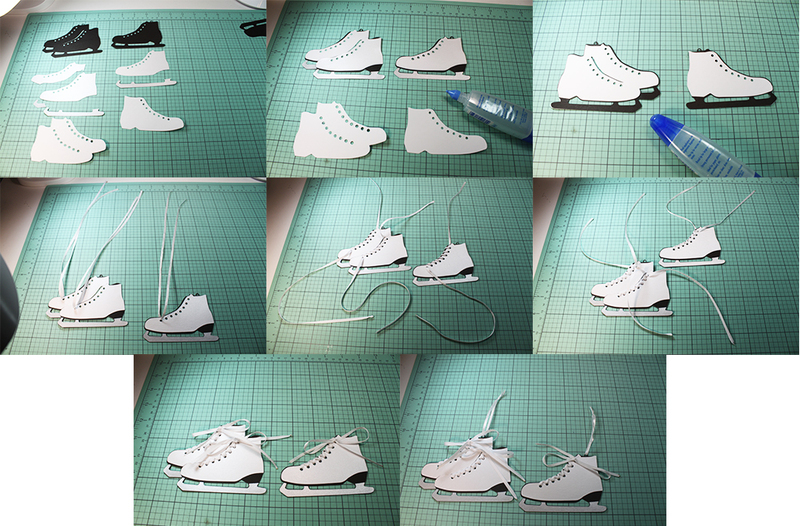 Glue the ice skate shapes to the coordinating shapes on the largest ice skate shape. Flip the combined ice skate over and glue the last ice skate shape on. 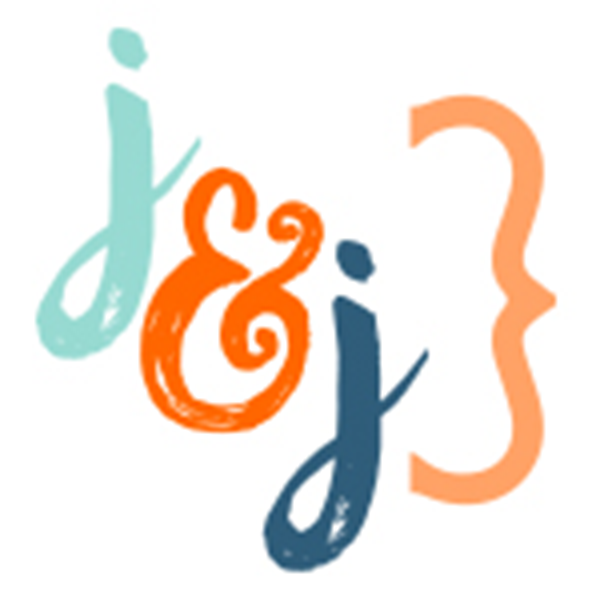 Using approximately 22” of 1/8” ribbon (or smaller) loop the ribbon through the bottom eyelet of the combined card. Pull the ribbon so that the ends are even each side. Thread on side of the ribbon through each eyelet. Loop a ribbon through the top loop of the combined ice skate.